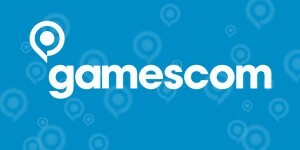 Gamescom is a trade fair for video games held annually in Cologne, Germany. This year the event took place August 16 to 19, 2012. Gamers got the chance to see multiplayer scenes from Black Ops II [YouTube video]. Black Ops II is the third installment of the Call of Duty: Black Ops series. It is scheduled to be published by Activision and released on November 13, 2012. Activision Publishing’s chief executive Eric Hirshberg spoke with BBC in an interview where he said, in connection with this release, that >> The game is very innovative, it has several firsts for the CoD franchise including the fact that it takes place in a future setting which unlocks a whole host of creative possibilities for our developers from new weapons to new settings to new art directional ideas. << [full interview here].